How can I create a Mortgage Pool / Mortgage Fund in my state? Mortgage Pools, and the Securities that are issued from them, are securities: much like stocks and bonds. You have both a Federal government, that has concern with raising money from the investing public in the United States and you’ve got states that that are interested and concerned about raising money from the residents of their states. The rule that we use very frequently, is SEC Regulation D, Rule 506. This is a law that was passed by Congress that basically says: “If you follow the rules of this Regulation D, you have the opportunity to preempt or displace state laws requiring you to register your securities.” There may be a notice filing in those states, but you don’t have to go to each state regulator to get their permission. This gives you the ability to raise money in all 50 states, which is very important to some of Doss Law’s clients and maybe to you as well. Al Haberstroh – How Easy Is It To Set Up A Mortgage Pool? 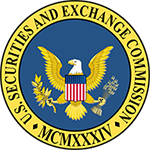 The negative part of SEC Regulation D, Rule 506 is it is limited to “accredited investors”. These are individuals with an income of $200,000 or more and a net worth of one million dollars or more. That said, you are allowed 35 unaccredited investors, that I call that the “family and friends exception”. The SEC Regulation D, Rule 506, allows you to lend money in ALL 50 states. But don’t forget, you may need a lending license in some of those states. This does not displace lending license laws. Another limitation on SEC Regulation D, Rule 506 is that you are not allowed to advertise. The statute actually says “general solicitation”. So you can’t do radio, TV, —those types of mass media. You CAN invite people who are accredited to presentations and make one-on-one phone calls. Another alternative is to actually go to your state regulator – and this is something that we at Doss Law do frequently in California, and get a permit or a approval to actually issue your securities in your state or the particular states that are important to your business plan. It may not be easy in your state, but here in California, given the volume that we at Doss Law do, it is pretty much a predictable process of us obtaining approval for our clients. In your state it may be a very tough road to hoe. It probably would give you the ability to advertise in newspaper, radio, and TV — and that might be worth considering the hassle of actually going through the approval process. You may also face some restrictions on the duration of your offering. While Regulation D offerings do not have a duration, the state-approved offerings typically have a one or two year approval process after which you have to go back and get re-approved. On the other hand, you do pick up what I call “lower suitability standards”. You can come way down from the million dollar net worth individuals into people with a lower net worth.